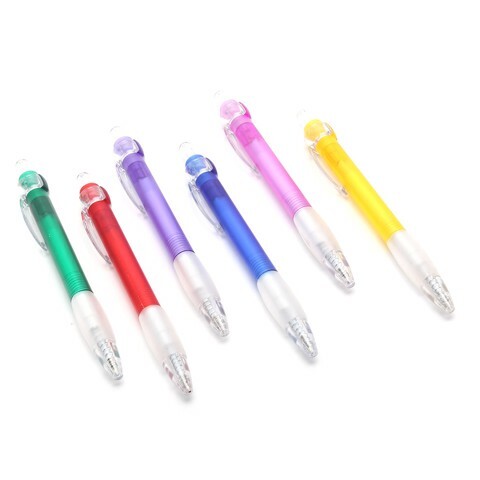 Pens Ball Point 6Pk. 13.5 x 1cm Rd. 6 Colour Barrels Per Pack: Blue | Yellow | Red | Green | Purple | Pink. PP Plasic Case. 10G Packaging: Blister Card.